At PanSIG 2019, the plenary talks will be done in a special interview format in coordination with the TEFLology Podcast. Our plenary speakers will be interviewed for 30 minutes, and then answer questions submitted by the audience. We hope that this engaging style will produce intriguing answers for the audience. 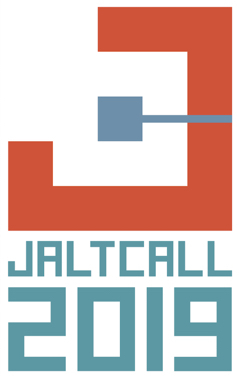 As well, the plenary talks will be recorded and available later on JALT related social media. 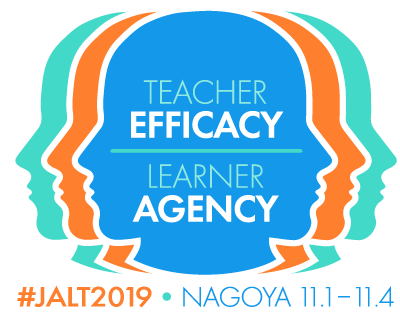 Information about our three plenary speakers is included below; for details about when the plenary speakers are schduled, please see our PanSIG 2019 schedule overview. Dr. Thang Siew Ming is a Professor at the Faculty of Education and Languages at HELP University, Kuala Lumpur. She was a previous Professor and former Chair of the School of Language Studies and Linguistics, Universiti Kebangsaan Malaysia. She is President of PacCALL and Co-chair of GLoCALL series of conferences. She is also active in eye-tracking research and is President of APAREM (Asia Pacific Association of Research in Eye Movements). Her key areas of interest are Learner Autonomy, CALL, Learning Styles and Strategies, Motivation Studies and Eye Movements Research. She has published extensively and is on the editorial boards of numerous well-known CALL and Language Education journals. Her recent publications are available in highly reputable journals such as the CALL, TAPER, Language & Education, EAR, AJET, IRRODL, IJPL, 3L and GEMA. Recently she has been appointed as a board member of the steering committee of WorldCALL. She has also given plenary presentations at various renowned CALL conferences. Her recent focus has been on the impact of technologies on language learning and the role of CALL in promoting autonomy and engagement, building motivation and confidence, and developing language learning skills. She has also explored and discussed the role of CALL in Asian countries particularly Southeast Asian countries, delving particularly on the extent CALL has benefited students in this region and the extent teachers have successfully implemented CALL in and out of the classrooms. My main area of research has been in the development of Japan's foreign language education policy. I have been involved heavily in the development of the Course of Study as well as in the changes to be implemented in college entrance examinations. In terms of the former, we have changed the basic structure of the Course of Study so that the main focus is now more clearly stated as being in the development of communicative ability--modeled on the so-called CEFR (Common European Framework of Reference) Can-Do statements. The goal for junior high school graduates is set at A1, and for senior high school graduates at A2 and B1 levels. In order to realize these goals, active learning procedures which emphasize the integrated use of all the language skills are required. However, the revision of English education cannot be realized unless the college entrance examinations are changed from the present one or two skills based tests to proficiency tests based on all four language skills. Although there are still many obstacles of overcome, I think we have taken the first steps in raising the English proficiency level of the Japanese.